A wonderful solution for those in need of drawers and doors! 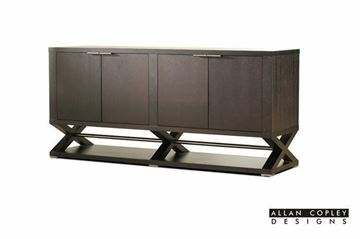 The Calligraphy buffet by Allan Copley is a small scale wonderfully structured buffet. 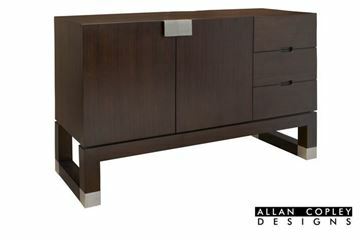 Crafted of Kulin wood with a low sheen espresso finish, and brushed nickel accents. 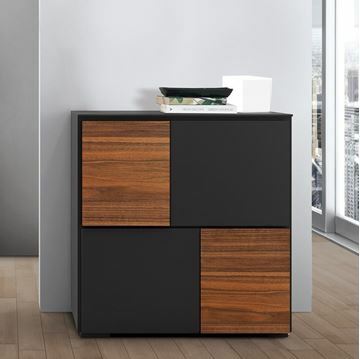 The cabinet features three drawers to one side, and two doors to the other. 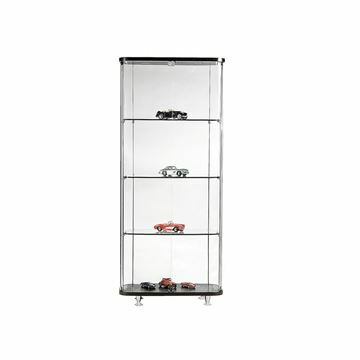 An adjustable shelf resides behind the two doors. 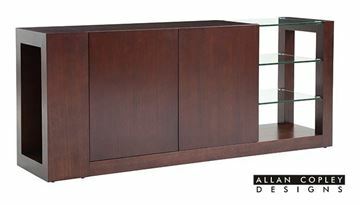 The Calligraphy Buffet is a perfect organizer for just about any room in a home. Two buffets can be situated side by side for a unique display as well. Allan Copley's Calligraphy Etagere is a beautiful open shelf display piece. 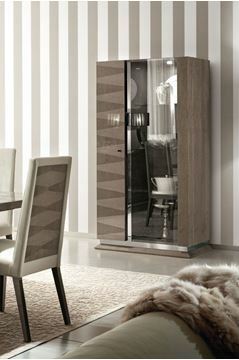 The Calligraphy design is carried through thanks to the post ends accented with brushed nickel plates. 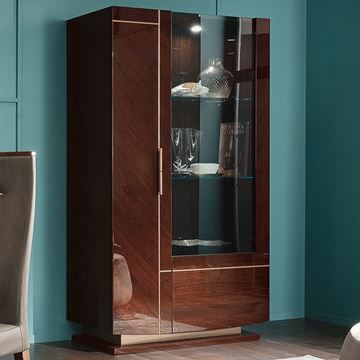 Crafted of Kulin wood with a low sheen espresso finish. The shelves are 1/2" thick tempered glass. 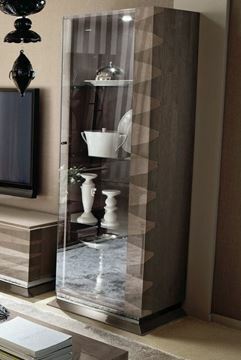 Use one, two, three, or more to make a very unique room divider. 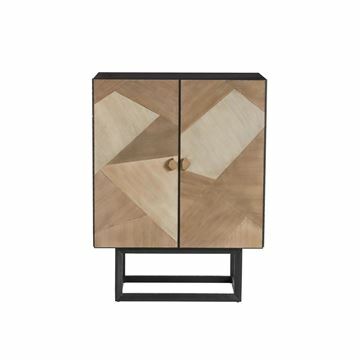 The Feather Inlay Drinks Cabinet by Jonathan Charles. 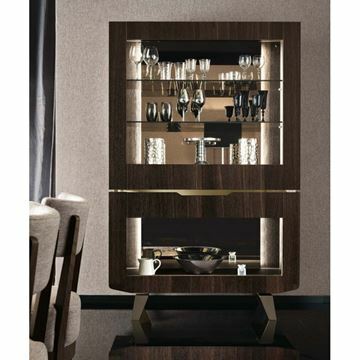 A beautiful bar cabinet with very fine inlays resembling feathers on the top and herringbone on the sides. Exquisite attention to detail and craftsmanship combine to create this beautiful piece. Hand cut brass pangolin style handles adorn the doors. 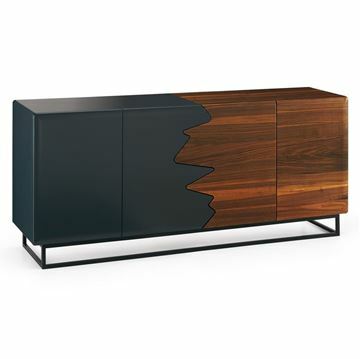 The Feather Inlay Cocktail Cabinet by Jonathan Charles. A decorative oval low cocktail cabinet with very fine inlays resembling feathers on the top and herringbone on the sides. Exquisite attention to detail and craftsmanship combine to create this beautiful piece. Hand cut stainless steel pangolin style handles adorn the doors. 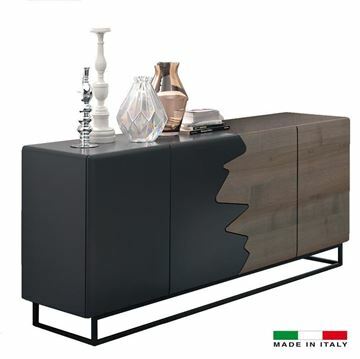 The Vega TV Media Cabinet, by ALF Italia. 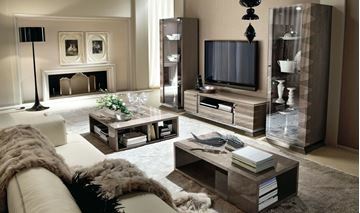 The TV Cabinet paired with the Vega Curio Cabinets makes a stunning complete set. Crafted in rim surfaced oak. 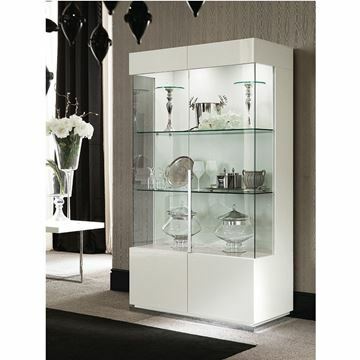 Soft closing hinges are standard on the doors and drawers. The pulls and legs are crafted in polished steel. 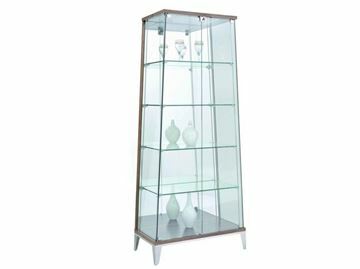 The ALF Vega Curio Cabinet, part of the Vega Dining Collection, by ALF Italia. 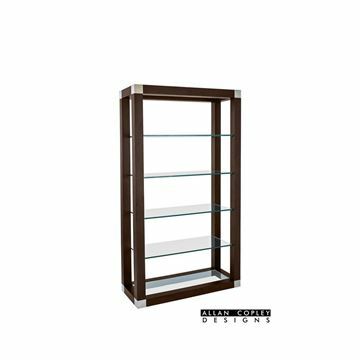 This smaller scale cabinet is the perfect finishing touch for any corner or wall in your home in need of a refined finished look. Crafted in stunning rim surfaced oak. 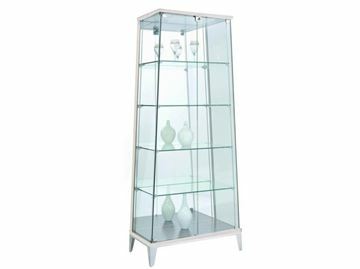 Soft closing hinges on the curio glass door and polished steel door pulls and legs complete this beautiful piece of furniture. 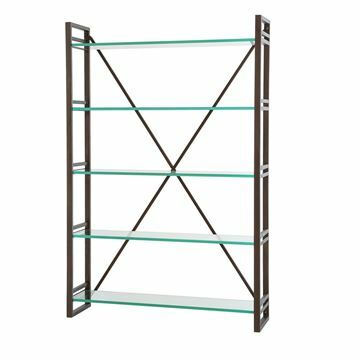 The Terrace Bookshelf, by Arteriors. 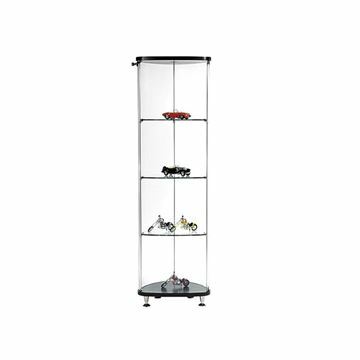 A beautiful design giving you several terraced levels to display your collectables and literature. The frame is crated in natural iron and shelves are gray washed wood. 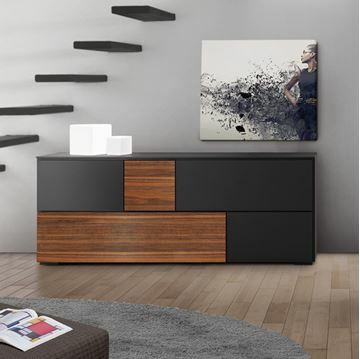 The Terrace Bookshelf is a truly unique combination of materials and linear design. 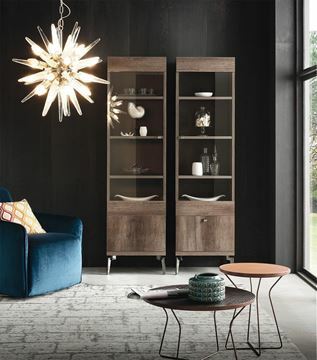 The Goldman Bookshelf by Arteriors. The frame is crafted in beautiful natural iron, giving the feel of sturdy industrial craftsmanship. The open hardware attachments add to this look. 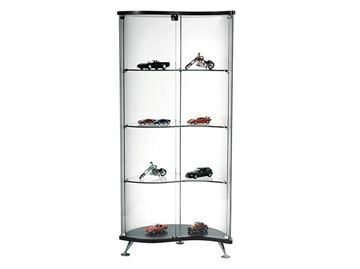 Five clear glass shelves afford a great deal of display area for collectables and literature. 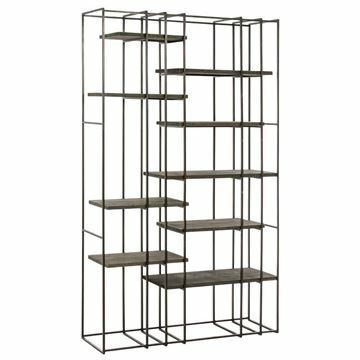 The Goldman Bookshelf shows great as a single freestanding piece. It also looks great as a pair on either side of a fireplace or display window. The Gatsby Cocktail Bar by Arteriors. 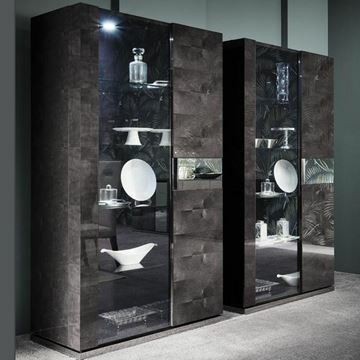 As the name says, the design inspiration holds its own with a stunning multidirectional channel faceted pattern on the doors. Gold is the primary finish color, set with an ebony frame. We love the unique shape and design of the door pulls.